This luxury apartment building shares frontage on an attractive public square with the Princeton Township Library and municipal parking garage. 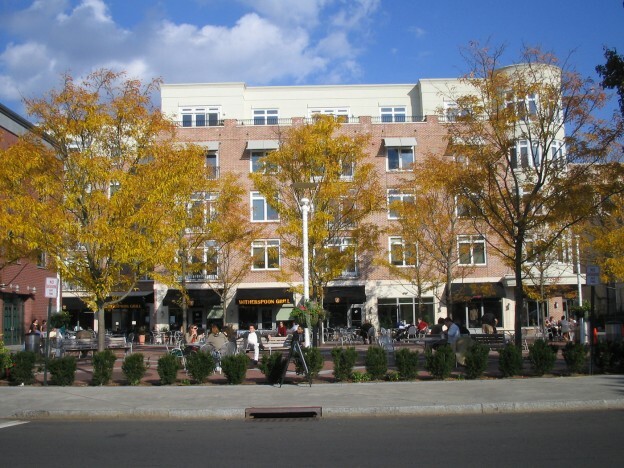 The historic urban site is within a short walk to boutique shopping and fine dining at adjacent Palmer Square and is just one block from Nassau Street and neighboring Princeton University campus. Private roof terraces offer panoramic views of the vibrant Princeton streetscape below. 1670 to 1375 sq. ft. Direct access to reserved parking in 500 car municipal parking deck.